The team which took third place at this weekend's 24 Hours of Spa race consisted of gamers weaned on Gran Turismo and trained by Sony's GT Academy promotion. 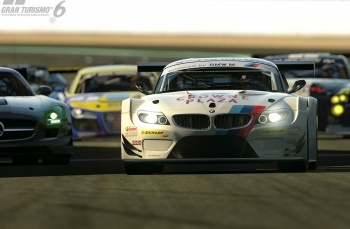 Gran Turismo has long been a key franchise for Sony's PlayStation consoles. As a result, the company earmarks huge amounts of cash to promote the series, and one of its biggest efforts to date has been GT Academy, a racing school of sorts that offers professional instruction to those Gran Turismo players who prove absolutely dominating on the virtual track. Ostensibly, Sony is using GT Academy to prove that Gran Turismo is such an excellent simulation that it can actually generate real-life race car drivers, and if this weekend's results are any evidence, GT Academy seems to be working quite well. The 24 Hours of Spa race was held this weekend in Belgium and by the end, both the third place and seventh place positions were occupied by GT Academy alumni. That would be impressive enough by itself, but as Jalopnik points out, this isn't the first time GT Academy has proven a solid training tool. In February, the British GT racing series banned GT Academy graduates from competition, saying that their combination of speed and inexperience could be hazardous. Of course, this weekend's race at Spa might argue the latter point, but the fact remains: GT Academy is turning gamers into pro racers. Propers to Sony for such an absurd, successful experiment.